I pity the poor reader these days. Reviews can’t be relied on for unbiased opinions so a reader may have trouble telling which book is most likely to set her heart a’ beating. As she shops, she often turns to the blurbs or endorsements on the back of the book. She may read a few of the first pages of that same book. But a book that has won a contest for book awards from organizations like Jeff Keene’s USA Book News Award or IBPA’s Ben Franklin Award award or the New Millennium award or, yes, from universities like Columbia’s Pulitzer, will probably clinch a sale faster than many others. Let’s take that one step farther. Authors who have won literary contests (contests run by journals, publishers and the like for poetry, short stories, novellas, novels and other literary entities) also gets bragging rights that might get inserted into their media kits, query letters, and websites. That makes it easier to sell a promotion idea (or a next book!) than someone who is new to writing. Gatekeepers—anyone from acquisition editors to feature editors at newspapers—can be influenced by a contest. Make that a contest win, place, or show. It may be what’s needed to set you apart from the many authors clamoring for attention. In fact on a slow news day, just about any award looks like a nugget of gold to a busy editor. So why are authors so ready to hate contests? Fear of rejection is an easy answer. An article in the revered Poetry & Writers’ magazine mentions that writers often consider contests rigged and resent the fees (usually from free to $25 for literary contests and from free to $125. for book awards.). The magazine article pointed out that publishers and organizations become dependent on the fees they charge for contests and note that rarely does an unknown author win. I’m not sure the last part isn’t sour grapes; the point of many contests is to find delicious new voices that will keep the not-so-voracious appetite of publishers for new material well fed. If it is the truth, perhaps we should do something to hone our own skills to approximate those of more established authors. Hint: There are other benefits to contests. Some offer critiques of entries—a value that cannot be overestimated in terms of learning more about the contest-winning process and one’s craft. Some publishers sponsor contests to attract submissions of great new manuscripts. One of my favorites contests that is reasonably priced and offers helpful benefits to those who enter is #NorthStreetBookPrize sponsored by WinningWriters.com. Regardless of the category (and there are some that don’t seem to fit neatly into either category), a contest win is a contest win is a contest win in terms of marketing. Some contests only accept nominations from publishers. You may need to prod your publisher a bit if you know of a contest for which you think your book would be suitable. Choose contests based on the kind of writing you do. Read up on past winners. Examine past winners for genre, voice, length. Pay attention to the contest’s guidelines, except for the one that calls for no simultaneous submissions. This rule is patently unfair to the author. You know it and they know it. It’s a rule, not a law. It is a courtesy, however, to notify those contests or journals you have submitted to if your entry wins elsewhere. To increase your chances and to keep you from worrying about each entry, submit work to several contests at a time. Keep track of entries so you don’t submit the same material to the same contest twice. Hint: Some journals still don’t accept online entries. Don’t recycle paper copies that have been returned to you. Editors complain about entries that look as if they have spent a night in the rain. - Use the “Deadlines” section of Poetry & Writers magazine to find reputable contests. Most are very competitive and charge fees. Check them out at pw.org. - A fat volume called Writer’s Markets publishes an updated edition each year. It lists contests, publishers, agents, and tons more. Buy the book and get online access to updates. - Check professional organizations like your local Press Women, the National Federation of Press Women, and the Wisconsin Regional Writers’ Association (WRWA). There is probably one in your state. - Do a Google search on “writing contests” plus your genre. - Subscribe to Winning Writers newsletter at winningwriters.com. I love this one for finding free contests. - Add this honor to the Awards page of your media kit. If it’s your first award, center it on a page of its own. Oh! And celebrate! - Write your media release announcing this coup. - Post your news on media release distribution sites that allow you to post your release yourself. Find a list of these sites at https://howtodoitfrugally.com/mediareleasedisseminators1.htm. - Notify all your professional organizations. - Notify bookstores where you hope to have a signing and those where you have had a signing. - Notify your college and high school. Some have press offices. Most publish magazines for alumni and their current students. - Add this information to the signature feature of your e-mail program. - Add this honor to the biography template you use in future media releases—the part that gives an editor background information on you. - Use this information when you pitch TV or radio producers. It sets you apart from other others and defines you as an expert. - If your book wins an award, order embossed gold labels from a company like http://labels-usa.com/embossed-labels.htm. You or your distributor can apply them to your books’ covers. If you win an important award, ask your publisher to redesign your bookcover or dustcover to feature it a la the Caldecott medal given for beautifully illustrated children’s books? If you don’t know this medal, visit your local bookstore and ask to see books given this award. - Be sure your award is front and center on your blog, your website, your Twitter wallpaper, and your social network pages. - Your award should be evident on everything from your business card to your checks and invoices. § First and foremost, write a great book. One with great content. One that is organized well. A reminder here. It’s almost impossible to do this without some personal guidance, which is why I recommend writers conferences (see the next section of this chapter in The Frugal Book Promoter), and well-vetted writing classes in your genre. Caveat: When you change genres, take another class. Do it even if you have been supremely successful at writing in another genre. Authors who have achieved stature should be especially cautious about embarrassing themselves by launching into another arena without knowing all the new stuff they need to know. Poetry is not fiction. Writing a romance requires some skills science fiction does not, and vice versa. Journalists have a great start, but they’ll find knowing more about some elements of fiction like dialogue may inform their news stories as well as help them write a better novel. § Get your book edited by a professional editor. You’ll have an easier time of selling it if you do this before you begin the submission process, and because many publishers have cut their editing budgets, you’ll be more assured that the job is done well enough to have it qualify for an award. Read my The Frugal Editor (http://bit.ly/FrugalEditor) to know more about editing and how to choose a qualified one. § If you are self-publishing, hire an excellent book cover artist. Mind you, I didn’t say a graphic designer or fine artist. People like Chaz DeSimone (DeSimoneDesign.com) know things about book cover design and marketing pitches that others may not know. 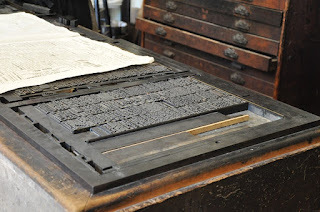 § If you are self-publishing, hire a good formatter or interior book designer, too, one that knows the intricacies of frontmatter, backmatter, headers, footers, and page numbering. § If you write nonfiction, learn the art of indexing. It isn’t as easy as the word processing programs seem to make it, but I think it’s one uphill battle that’s worth fighting on your own because no one will know your book—know what you feel is important for your reader to know—like you do. There are, of course, also excellent professional indexers who will work closely with you. If your publisher provides an index for you, check it to see if important categories or details have been overlooked. § Follow the guidelines above for finding the perfect contest, one that is a match for your book. § Attack this process with confidence and be willing to make an investment of time and some money. As you can see, the more you know about publishing, the better equipped you will be to produce a product (and your book is a product!) you can be proud of—perhaps even a prize-winning book. You wouldn’t expect to become a computer programmer without knowing how the hardware worked, now would you? 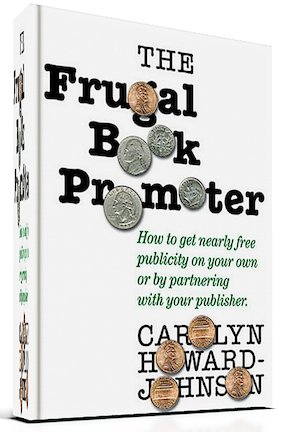 Carolyn Howard-Johnson promotes her multi award-winning poetry and fiction using contests of all kinds. She also sponsors contests as a way to market her writing career. Learn more about her methods in any one of her HowToDoItFrugally series of books for writers: https://howtodoitfrugally.com and learn dozens of other frugal ways to promote your book in the new second edition of her Frugal Book Promoter (expanded to 416 pages!) and updated. http://bit.ly/FrugalBookPromo. Carolyn, as always, your article is informative, fun to read, and extremely helpful. I will take it to heart, bite the bullet, and look into entering my work in contests, thanks to you! Are You Building Publishing Habits?